Today, the President released his budget framework, including a proposal to eliminate the Legal Services Corporation, the largest single national funding source for free civil legal assistance to low income Americans. The Wisconsin Access to Justice Commission strongly urges Congress to continue its longstanding bipartisan support of LSC and reject this budget proposal. 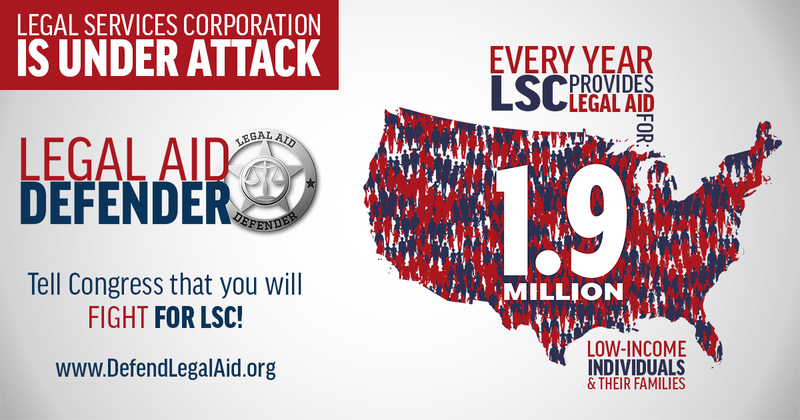 Eliminating LSC would undercut America’s promise of equal justice for all and harm our state justice system. In Wisconsin, LSC provided $5.2 million in 2016 to two organizations, Legal Action of Wisconsin and Wisconsin Judicare, allowing them to provide free legal information, advice, and representation on civil matters to over 9,000 low income Wisconsin residents in cities, towns, and villages across Wisconsin. Together, these two organizations help people who have basic civil legal problems with their housing, children, safety, health care, and incomes.